050: Norman Ng — Magician Talks About Lifestyle Design & Talent Agencies! Norman tried to create a fundraising show, invested thousands of dollars in it, and ultimately failed because he didn’t fit the demographic. Transitioning from being a local performer to an international one. Knowing his client’s needs and working to fulfill them. • Started it so he could be home more with his family but still stay in show biz. • Tells how he adds talent to his agency. • Being a true artist. • To stand out, have a good website that shows you care about what you do. • Biggest mistake he sees is people make is not being ready. Keeping in constant contact with clients. The squeaky wheel gets the grease. Top of Mind Awareness. Accounted more for what it would be like having a wife and kids when being a traveling performer. Norman tells how he almost died on the road because of a mysterious illness. • Never saying no to a gig. • Talks about how he marketed himself early on. • Working on material first before marketing his show. • Knowing yourself and your performance style before jumping into a market. • How he planned for and moved his business across the country. • Commenting on the current temperature of the college market. • How important it is to have the support of your family. • Balancing work and family and maximizing time with family. Start with good material and build from there. Where can we find Norman Ng? 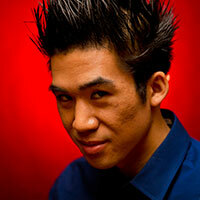 ← S5E1: Dan Chan — Magic, Kids, and Dinner Shows!